I am posting today the speech of Colonel-General Igor Sergun, Head of the Main Intelligence Directorate (GRU) of the General Staff of the Armed Forces of Russia. To say that this man, or the GRU in general, is secretive, would be an understatement. Almost all the information publicly available about Sergun is in the short biography (researched by Scott) which I have placed at the end of this post. As a general rule, the GRU never makes a public statement, nor does the person heading it. It is thus interesting that on one of the very few occasions where General Sergun agreed to speak in public, he chose to focus on the risks of the so-called 'Islamic' extremism and that in a relatively short presentation, he made four references to the fact that these 'Islamic' terrorists are basically creatures of the West. One might be tempted to say 'nothing new here; we all know that' – but that would be missing the point. The point is that the head of Russian military intelligence is openly declaring that the so-called 'Islamic terrorism' is not an original or indigenous phenomenon, but an instrument in the toolset of western imperialism which is used to subvert countries that dare oppose the worldwide hegemony of the Trans-Atlantic Empire. One of the most dangerous challenges of the current times is presented by the international terrorism, which is rapidly acquiring a political nature and is being turned into a real force, striving to come to power in certain countries. We are witnessing a steady trend towards globalization of activities of extremist organizations. This includes a wide geographic spread, strengthening of the interaction between previously disparate groups, as well as swift adaptation to situational changes. Among international terrorist organizations, the role of radical Islamists is increasing. Their leaders are developing collaboration and seek to create zones of instability, which include not only countries but entire regions. The “Terrorist International” under creation aims at restoration through military force the “Great Caliphate” within the borders encompassing the Middle East, the Caucasus, Northern Africa and Iberian Peninsula. A campaign for formation of the united front of the “Global Jihad” was announced, with the aim of conducting armed struggle against the “main enemies of Islam”, represented by the USA, Western European countries, Russia and Muslim countries with the secular governments. Al-Qaeda’ remains one of the most powerful terrorist organizations, although in current conditions it has become to a greater extent “the banner of the war against infidels” for the Islamists, while the related regional groups operate virtually independently. Lately, the ” Islamic State of Iraq and the Levant “, which managed to force its control over a significant part of Iraq and Syria, is successfully striving to occupy leading position among the extremist organizations. The terrorists have declared the establishment of an ‘Islamic Caliphate’ on occupied territories and started to set up their own ‘public institutions’, including financial and judicial systems. Sustainable centralized control over the armed groups has been organized. The strengthening of ISIS has seriously destabilized the situation in Africa. ISIS provides substantial military and financial assistance to the local extremists, sends reinforcements composed of the Syrian and Iraqi terrorists. The groups receiving such support are ‘Ansar al-Sharia’, operating in North Africa, and ‘Boko Haram,’ in the West of the continent, while the greatest threat to the stability of East Africa is the Somali terrorist organization ‘Al-Shabab al-Mujahedeen,’ responsible for a number of high-profile actions. Equally alarming is the situation that is developing in the Middle East and Central Asia, where extremist organizations such as the ‘Taliban’, ‘Hizb-ut-Tahrir’ and Islamic Movement of Uzbekistan maintain high combat potential. We estimate that currently, in Afghanistan alone, about 50 thousand militants are fighting. Afghan and Pakistani territories host a network of terrorist training camps, including the training camps for suicide bombers. Active dissemination of radical Islamist ideas has a negative impact on the development of the situation in Southeast Asia. In particular, unpredictable consequences could be caused by the extremist organization, ‘Jamaa Islamiya’, whose main goal is the creation of a single Islamic theocratic state within the borders of Brunei, Indonesia, Malaysia, Singapore and the Muslim provinces of Thailand and the Philippines. In recent years, the level of terrorist threat in Europe has increased. This is primarily due to the insurgents returning from the “hot spots” ready to use the gained experience at home. About 600 jihadists returned in the past four years to Germany alone. The extremists’ influence has spread to include some South American regions. The Tri-border Area, located along the junction of Argentina, Brazil and Paraguay, is considered a springboard by the extremists. An undercover activity of some of the states aimed at achieving their own foreign policy missions through secret financing of Islamic structures destabilizes the situation. While flirting with the extremists, some Western countries seem to be sure that the so-called policy of controlled chaos in far-away regions shall not result in tragic consequences, at least, in the middle term, but I think such opinion is unsound. It is no secret that it was at the instigation of Western ‘partners’ that since the 1980s, Islamic extremism was rapidly gaining momentum. To counter the Soviet troops in Afghanistan, there was heavy arming – with the funds from the United Stated of America and other NATO states – of scattered groups of Jihadists and Mujahideen who subsequently merged into major terrorist groups and movements. With financial and military assistance from Washington and its allies, rendered in order to eliminate the regime in Syria, unwanted by the West, the ‘Islamic State of Iraq and the Levant’ and ‘Jabhat al-Nusra’ were created. Military intervention in Libya by the Alliance entailed similar results. Availability of the stable sources of financing for the extremists is the reason for a serious concern. The most reliable cash-flow channels include various non-governmental organizations and foundations. For example, in the states of the Arabian Peninsula there are about 200 such organizations. A major source of income is the control over drugs production and trafficking. This activity brings the Islamists of the Middle East and Central Asia up to US $500 million a year. It happens quite often that actions of Washington and the West in general in various regions of the world contribute to creation of serious problems, including drug trafficking, religious extremism and terrorism, after which Washington heroically mobilizes the international community to neutralize the problems. In general, under the slogan of struggle for ‘pure Islam’, international terrorism is becoming a form of transnational crime. In fact, it has become a lucrative business with capital turnover running into billions, with drug trafficking, hostage taking, smuggling weapons and precious metals. Thus, we should expect that, in the short term, the level of terrorist threats in the world would remain high enough. Scaling up of extremist groups, among others at the instigation of the United States and its allies, especially in the Middle East and Central Asia, poses a real threat of terrorism export to European countries, the republics of the CIS and the Asia-Pacific region. In December 2011, he was appointed as Head of the Main Intelligence Directorate of the Russian General Staff. In 2014 Igor Sergun became a target for the Western sanctions against Russia. “Brussels: Russia’s armed forces chief of staff and its military intelligence chief were among 15 people listed on Tuesday as targeted by the European Union’s latest sanctions over the Ukraine crisis. 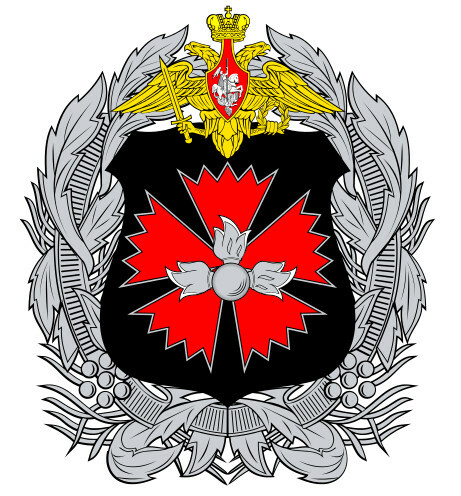 General Valery Gerasimov, army chief and the country’s deputy April 29, 2014″ [Source] http://www.intelligence-world.org/tag/igor-sergun/ Igor Sergun has been was targeted “for the activity of GRU officers in eastern Ukraine” while Gerasimov was listed as “responsible for the massive deployment of Russian troops” along the Ukraine border and “lack of de-escalation of the situation”. December 27, 2011 – Major General Igor Sergun was named head of the General Staff Main Intelligence Directorate on Monday. He replaces outgoing GRU chief Alexander Shlyakhturov, who was said to have reached retirement age. Игорь Дмитриевич Сергун, помимо прочего, награждён медалью «Участнику марш-броска 12 июня 1999 г. Босния — Косово», т. е. о событиях в этом регионе он осведомлен особо. April 16, 2015 – Terrorists in the Middle East and Central Asia receive up to $500 million from production and trafficking of illicit drugs, the chief of the Russian General Staff’s Main Intelligence Directorate said. International terrorism has become one of the most dangerous threats to mankind and it has turned global. This is the considered opinion of Colonel-General Igor Sergun, Director of GRU, the Main Intelligence Directorate of the Gen. Staff of the Russian Armed Forces. Speaking in mid-April at the IV Conference on Security in the Defense Ministry in Moscow, Sergun provided a detailed analysis of the problem. Since he is not among the public figures frequently cited in the media, RIR decided to offer its readers the most complete summary of the key theses of the general. 1.Balance of political forces within the country remains relatively unchanged, supported by a limited Western presence. Afghanistan remains a source of terrorist, extremist, and drug threats for Central Asia. Likelihood 39 percent. 2.Taliban seizes power in the absence of a foreign presence. Islamists could begin infiltrating Central Asian states. Likelihood 27 percent. 3.Afghanistan disintegrates and is divided into ethnic enclaves. This scenario leads to an increase in battle for influence by local and regional powers. Likelihood 31 percent. In the second part of this speech, Sergun discussed the logistics of the ongoing withdrawal of ISAF forces from Afghanistan. Given the amount of equipment present in the region, his analysis showed that Western states would not be able to withdraw their equipment in the allotted time frame. He argued that while the 40,000 personnel could be withdrawn by the end of 2014, it would be impossible to complete the withdrawal of 40,000 vehicles and 300 helicopters any earlier than 2017. As a result, he claimed that Washington will soon need to start a propaganda campaign to convince the international community that U.S. presence in the region will need to be extended at least through 2024 in order to ensure regional stability. However, this will not change the threat posed by the Taliban to Central Asian states.